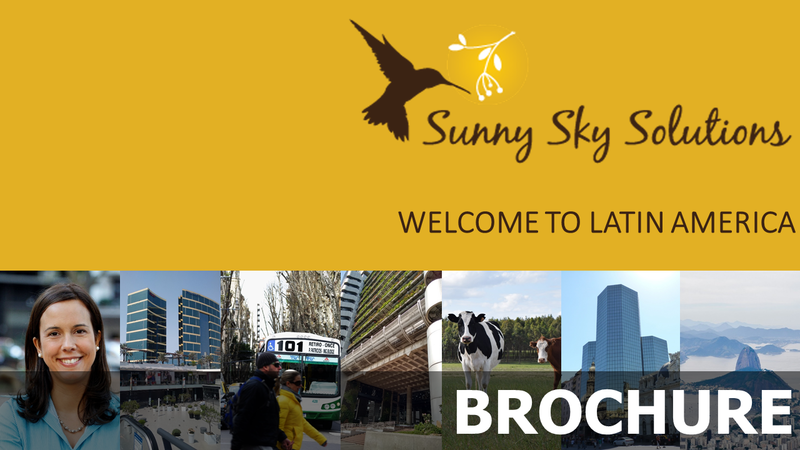 Gabriela Castro-Fontoura, Sunny Sky Solutions’s Director, has built up a reputation among international media as the expert to turn to when a comment on Latin America is needed. Here you can find some examples of articles that Gabriela has written or been interviewed for. 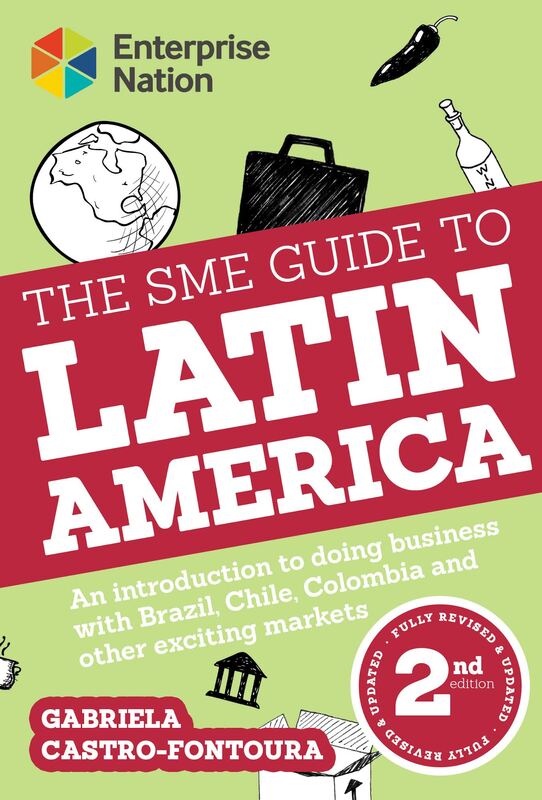 GT Guide to Global Markets 2015: “Latin America, a growing marketplace” (page 109) and “Exporting to the Copa America’s seven top contenders” (pages 110-111). Forum for International Trade Training (Canada), October 2014: “Peeking into the South American International Trade Divide: Protectionist Atlantic v Open Pacific”. You can also check Gabriela’s other articles for this blog in 2014 and 2015 here. 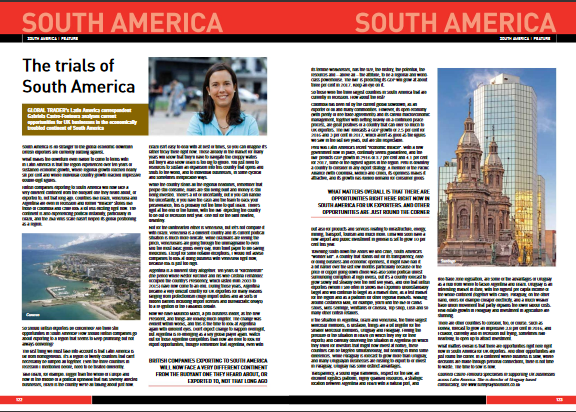 Growth Business January 2014: “Mexico: much more than the M of the MINTs”. Global Trader Guide to Investment and Export 2013 (in association with the Institute of Export and the British Chambers of Commerce): “Panama packs a punch as Canal project makes it even stronger”. For full Guide, click HERE. DHL Express UK (January 2012) – “New year, new export opportunities” – international trade highlights of 2011 and what to watch out for in 2012, with a focus on Latin America. 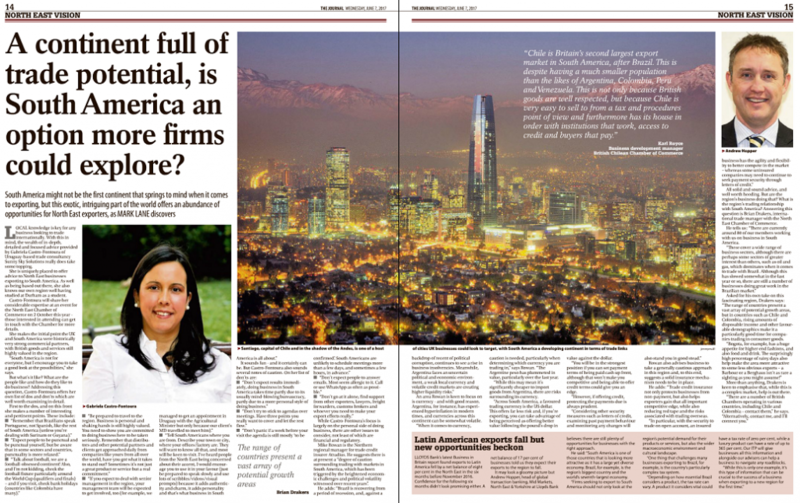 The Times (Dec 2011) – “South America as you’ve never seen it before”. 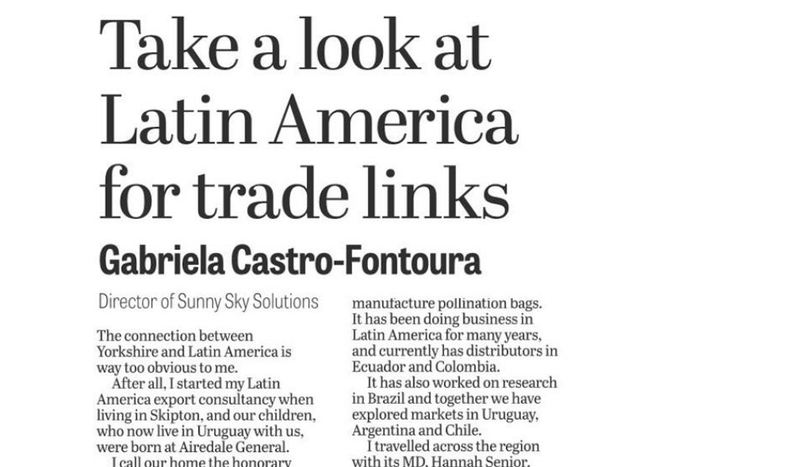 DHL Express UK (August 2011) – “Doing Business with Latin America” – we were delighted to answer questions on UK trade with Latin America and be featured in the same blog post as Evan Davies, from Made in Britain and Dragon’s Den.